In a continuation of our Summit Insider news series, we have been investigating current public transport projects in Scandinavia in line with the hot topics of our Summit programme. Keep reading to see what we found! 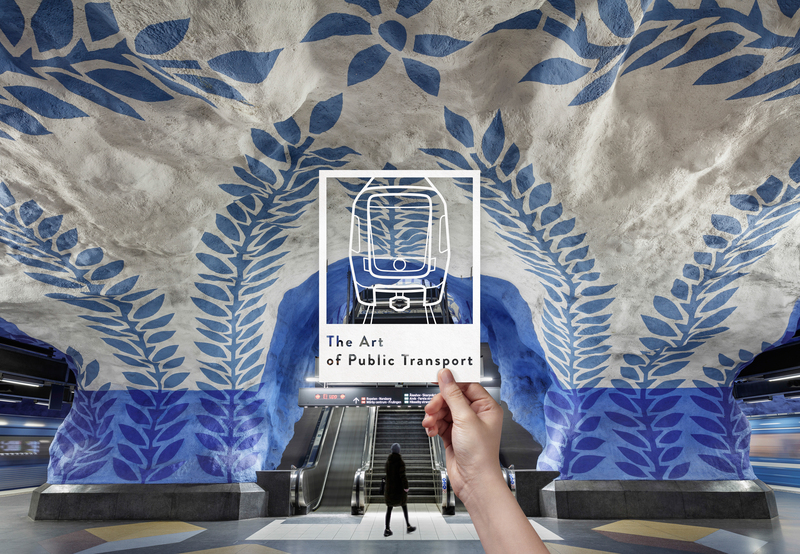 As part of its ongoing process of digitisation, Storstockholms Lokaltrafik (SL) – Stockholm’s public transport operator and local host of the UITP Summit 2019 – is developing an artificial intelligence (AI) system capable of predicting when maintenance is needed on tracks or vehicles before damages have occurred. With the help of machine learning, this system will not only support SL in limiting cancellations and delays caused by traffic errors, but also drive major cost savings and production value. Currently in its concept phase, it is being tested on Roslagsbanan, a narrow railway in the Stockholm area. Want to know more about the promises of AI in predictive maintenance? We have a session dedicated to this topic at the UITP Summit in Stockholm! The potential of AI in public transport will also be further discussed throughout the Summit, for example in this session, or that one on smart technology. Two Scania Citywide LF electric buses will connect the growing residential area Barkaby to a nearby metro station, initially running autonomously for 1km. During the second phase of the trial, this service will be opened to regular passengers. On their way to work, around 300 people a day will get to experience what mobility feels like when public transport is autonomous! Scania and Scandinavian public transport operator Nobina are working together to bring autonomous buses to the streets by testing them on regular commuter routes in Stockholm. With its trial period starting in 2020, their project is “one of the first of its kind in Europe with buses this size”, says Karin Rådström, Scania’s Head of Buses and Coaches and a speaker at the Summit. Curious about the potential of automation and robotics in public transport? Check out this session here at the Summit and don’t miss out on the opportunity to hear about the first results of the UITP SPACE project! Hent meg, or pick me up! That’s what the inhabitants of Sauda in Rogaland, Western Norway can now tell the HentMeg app developed by public transport provider Kolumbus when they need to get around. In this rural area, the bus service previously in place would only carry about 1.5 passenger per departure for 110 departures a week. This highly inefficient situation made Sauda the ideal place for Kolumbus to carry out an experiment: turning predefined bus routes into an IT-based shared pick-up service with no fixed schedule and dynamic routing. By booking their journey on the HentMeg app, passengers are creating “a million billion new routes” that fit their needs and cost 40% less than the network they have replaced. Interested? Join Mathias Molden, Digital Service Designer at Kolumbus, to discuss on-demand ride sharing solutions here at the Summit! You can also find out about other pioneers in the field by joining this session. Already known as the first country to have launched a fully electric ferry in 2015, Norway is about to add another ‘first’ to its list of achievements in the maritime transport sector, with a plan to build the world’s first hydrogen-electric ferry. Norwegian shipping company Norled just signed an agreement with the Norwegian Public Roads Administration and will be responsible for its development, construction and operation. With a capacity of 299 passengers and 80 cars, this zero-emissions ferry will be operational by 2021. “This represents a green historical turning point for both Norled and the rest of the maritime sector”, said Ingvald Løyning, Chair of Norled. When it comes to maritime mobility, Scandinavia is the place to be. Don’t miss out on a chance to see it for yourself and sign up to our technical visits! Fancy a tour of Stockholm’s daily boat service depot, or a boat trip in lake Malaren?